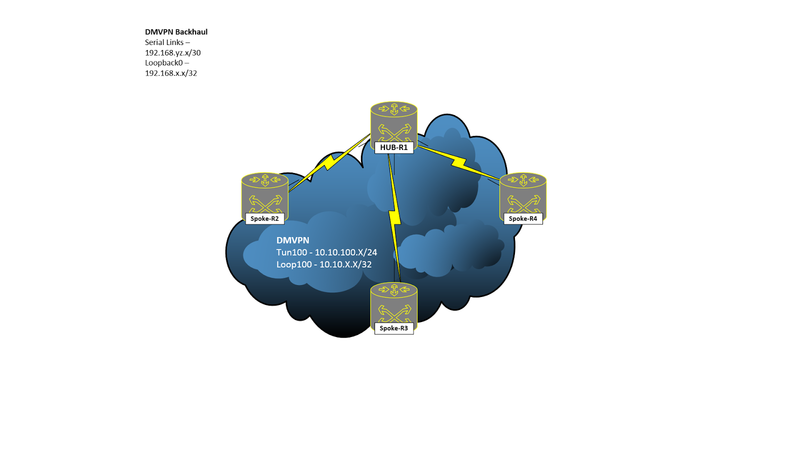 Network Knerd: DMVPN -- MPLS over DMVPN? Oh yeah. Cisco has the spoke-to-spoke stuff now with the MPLS labels. Hi Fish, please, could you share this new stuff ? +1 on spoke to spoke labels. I'd love to see that in place. Spoke-spoke support with MPLS over DMVPN has been there on IOS-XE routers since XE3.11 and the equivalent release for ISR-G2 routers(those that support MPLS) as well. The routing design stays pretty much the same, the only config that would change is replacing 'mpls ip' on the tunnel interfaces with 'mpls nhrp'. That takes care of all the magic and also doesn't need LDP. So you can disable LDP over the tunnel if you're using that. That's all! I read up on that as well! (Keep in mind this post is over a year old now lol). Having said that, last I tried to lab this out, mpls nhrp does absolutely nothing. I get no label exchange over the tunnel interfaces after removing ldp. So, good the syntax is there, but it appears it's a work in progress. OR at least a work in progress on CSR 1000v. We use this heavily in our environment and mpls nhrp does indeed work as the solution for running mpls over dmvpn while still permitting spoke to spoke traffic. 1. Replace 'mpls ip' with 'mpls nhrp' on the tunnel interfaces. 2. Change vpnv4 peering from loopbacks to Tunnel interface IPs. What will happen is, you'll forward traffic ONLY with its vpn label (no transport label). So, if your PEs are DMVPN spokes then it works wonderfully. However, if your spokes are just LSRs it totally breaks MPLS lol. This is exactly what happens in my lab and I really need he feature. Is there any progress I this case? Unfortunately no, mpls nhrp only seems to work if your DMVPN routers are PEs. For me, to change ospf network type to point-to-multipoint did it.